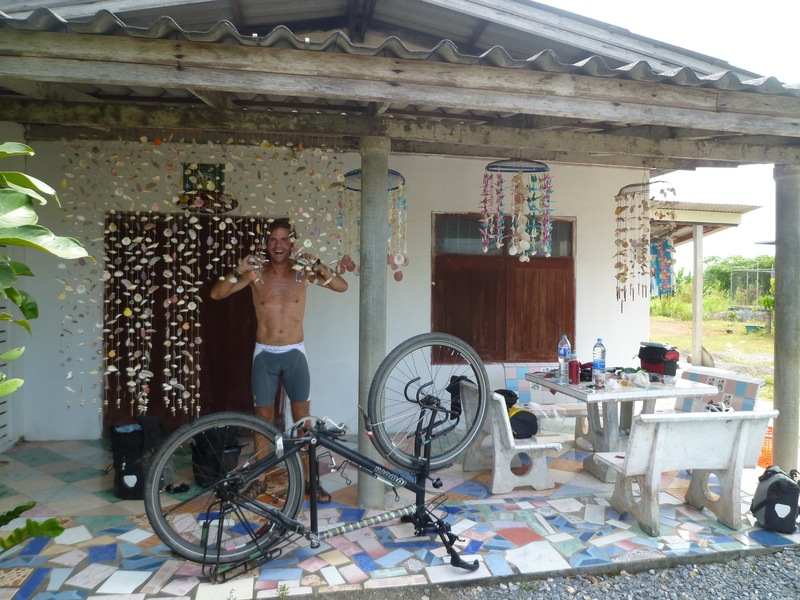 In September 2012 we fulfilled our dreams and left our corporate jobs to cycle the world. 20 months and 26,000 km later we had discovered 21 countries on three continents and ended our epic journey in beautiful New Zealand. More on this trip can be found at http://myfirstblogeverforcyclists.wordpress.com. After catching up with family and friends, Baerbel working as a communications freelancer and Johan developing a passion for classic road bikes, we decided to embark on another cycling trip as of August 2015, this time to discover the old silk road, starting in Bishkek, Kyrgyzstan and cycling through Tajikistan, Uzbekistan, Turkmenistan, Iran, United Arab Emirates and Oman. If you would like to get in touch with us you can send us an email: cycletheworld@icloud.com. Thank you! Baerbel (47), a sportswoman with a special love for pushbike touring. 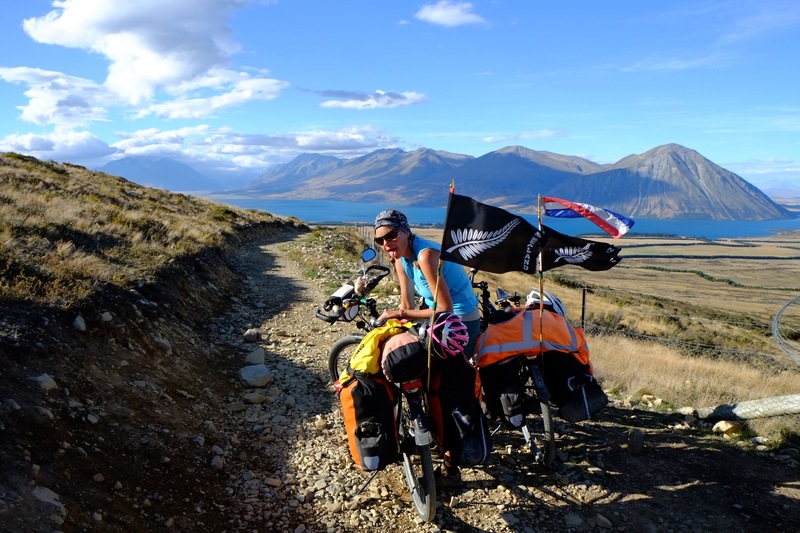 She left her corporate communications job to travel the world by bike together with her partner Johan. She is passionate about all endurance sports, preferably cycling and running, loves cooking and even more so eating. She is always worried about not having enough food or water while touring. Main responsibilities during the trip are cooking, food shopping and updating the blog. Johan (51), sportsman with the same special love for bike touring and capable of cycling 3,200 km with a torn meniscus. He left his corporate sales job for exactly the same reasons as Baerbel and is passionate about speed skating, cycling and running. During the trip Johan is responsible for filming and photographing, taking care of the bikes including cleaning and repairing. Hi. i live in IRAN – SAVEH city. if you going to ESFAHAN after TEHRAN you can come in SAVEH. i will be glad to hosting you. Great to meet you along the Icefields Parkway. Love your blog and would love to do the Spice Route one day. For now my journey is over but you have inspired me to think bigger for the next trip! Safe travels and interested to hear what you do next. Thanks so much and safe travels wherever they get you to! meine Name ist Armin und ich bin auf euch über den Reisebericht von Samuel gestoßen. Ich hoffe in Deutsch zu kommunizieren ist für euch in Ordnung. Eure Etappen ab Florenz über die Alpen (Stilfserjoch, Reschenpass, Norberthöhe, Fernpass und Füssen) kann ich voll nachvollziehen, ohne dass ich diese mit dem Rad befahren habe, aber ich bin Italien-Fan, und daher weiß ich wo ihr durchgekommen seid. Samuel wohnt in Füssen, ich wohne nur 30 Kilometer entfernt. Aus den Videos und Reiseberichten von Samuel habe ich euch, und auch Jakob, also absolut integre Menschen kennengelernt, wenn man dies überhaupt über das Internet so beurteilen kann. Was mich interessieren würde, ist, was ihr heute macht, nachdem ihr euch ursprünglich in Italien mit einem Hauskauf beschäftigt habt, welchen ihr nicht umgesetzt habt. Freue mich auf eure Rückinfo. Ich hoffe dieser Blog ist noch aktiv und ihr lest meine Botschaft. danke für dein rasches Feedback. Freut mich dass ihr eine “Heimat” gefunden habt. Ich hoffe Johan geht es gut. Es freut mich auch, dass ihr für eure Radlerliebe (wenn man es so nennen darf) immer noch die Zeit findet, dieser nachzukommen. Habt ihr mit Samuel noch Kontakt? Ich möchte mich bald mit Samuel treffen, da mich sein Reisebericht und auch sein bisheriger Werdegang sehr interessiert. Sehr lose, er war vor ca. 1 Jahr bei uns zu Besuch. Richte ihm doch herzliche Grüße von uns aus!